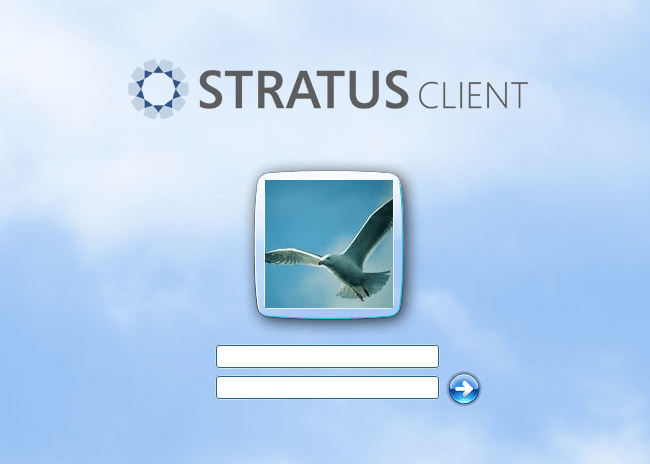 “Stratus” is a generic Web-based client for Microsoft Dynamics NAV 2009. By “Web-based” I mean it is 100% native Web product. It runs completely from Web browser without any external dependencies. No Flash, no Silverlight, no Java—pure built-in browser technologies. This also means you can run it without any pre-installation of any software on client machines. Imagine logging in to your NAV from an airport terminal or issuing an invoice from a public PC in hotel lobby. By “Generic” I mean its primary purpose is to bring NAV functionality and experience to Web, and it doesn’t care whether that functionality or experience is standard or customized. It’s generic. If you have it in your NAV, you can have it on Web. It has two primary purposes: to enable full Cloud deployment of NAV for consuming NAV completely from browser, and to bring NAV to occasional and remote users. By occasional users, I mean users who don’t need ERP full-time or are using a subset of functionality (maintaining customer records, or entering purchase orders, just a couple of examples) or who mostly need read-only access to ERP data. Remote users are all those folks who are out in the field, and who want to access NAV from their tablets, slates, mobile phones or just about any piece of equipment that can run a graphical Web browser. Data validation and business rules: all data is validated and all business rules are applied at the moment you enter the data, just like in RTC or Classic. Any data changed automatically by NAV is also automatically refreshed. Basic process calling: you can post documents, release orders, or call any simple processes which don’t require user interaction while processing. It is role-tailored: it exposes those functionality to the Web which is available to the user’s role through the profile. Even the Role Center is delivered. Can talk to the following page types: List, Card, ListPlus, Document, Worksheet, CardPart, ListPart and RoleCenter. What can I not do with it? Run any reports which come with a request page. Work with any matrix pages. Call any advanced processes which require intensive user interaction. Can’t talk to the following page types: NavigatePage and ConfirmationDialog. Run any RTC client-side add-ons (including any .Net interop which runs client-side). Most of them. It was tested in Internet Explorer, Chrome, Firefox, Opera, Safari. There are some slight compatibility issues being worked on right now, but nothing major, and there are no noticeable showstoppers. It wasn’t tested (yet) on older versions, so it means you need to have the current versions of any of the above. If you want to license it as an add-on, then it is licensed in exactly the same way as Light User is licensed, at the price which is exactly equal to the Light User price (in all models, except SPLA where it is slightly more expensive than Light User). Can I deploy it in my existing environment? Absolutely. As long as your environment is NAV 2009 SP1 or newer, you can deploy “Stratus” there, and have all of your end-users get access to NAV data and processes at the fraction of the cost usually associated with deploying ERP to the end user. Can I sell it to my customers? Of course you can. It’s an add on, just like any other add on. How does it cope with customizations? Any customization that you have done to the page objects are understood by “Stratus”, and are exposed to the web. “Stratus” not only exposes NAV data to the web, it also exposes the metadata, including customizations. As long as your customizations are available in RTC, you can run them in web (and of course, as long as they are not in the list of the things that are not yet supported). Does it just replicate RTC or Classic experience on the Web? Absolutely not. It does resemble RTC in most aspects, because I wanted user experience to be as much alike as possible, to enable easier training and adoption. “Stratus” adds some features which RTC doesn’t have, and in the future it will ad plenty more. Is this finished, are you done with development? Release one is ready for public review. But development continues, and there are going to be a minor release every three months. There will be a major release every time there is a major NAV release. How does it work, it must tap into NST, right? No, it doesn’t. It uses exclusively web services layer. What does “Stratus” stand for? The name “Stratus” is a name of a type of cloud, which matches pretty well a Cloud solution. “Stratus” also starts with strat as in strategy, and I want to position the Cloud offering as a strategical tool small companies can use to grow, as it provides not only simple tool for them to use, but also gives them a nice roadmap for the future: it’s not just any kind of ERP, it’s the Microsoft Dynamics NAV, which can allow them to take their database offline, and install it on their premises at any time if they outgrow the boundaries of the Cloud itself. Is it available for a test drive? It’s not as of now, but it will be pretty soon. Most likely, it will open for public demo and test drive by general public on March 31. It won’t be available as a download, but as a live web-site connected to a live database, where you’ll be able to play around with it just like you can play around with Cronus. Absolutely not. It was the work of my company and a partnering company who did the majority of front-end development. It took involvement of two MVPs as well (me included). Sure you can. Just drop a comment. Yes, “Stratus” is the reason why I was a lazy blogger lately. And I’ll probably stay somewhat lazy in that respect for the time to come. Way to go, Vjeko! I think this is great thing for NAV, surely great thing for our Cloud approach. Looking forward to see it in action! Got a chance to see prototype in action. Awesome thing! Congrats! Thanks everyone for supportive comments! I truly belive in this product, and I’m glad to find out that you do, too! Can you please contact me regarding an article about Stratus? I can’t find your contact information anywhere on the website. Looking forward to try the demo. Congratulations! It looks like a very interesting project. I am not an NAV Consultant/Developer, but I am extremely excited to hear this news, for one simple reason: I am also working on such a portal for Dynamics GP. We do have several “Portal” functionality available, but nothing replace the GP Windows & Functionalities to the fullest extent. Thanks for being an inspiration of sorts in this regard. And I am also eagerly looking forward to a Demo. First of all congrats on a great project and great idea. I’m MSP and I’m looking forward to this. I wish you all the luck with this great product! Thank you all for the support, once again! Wonderful! I’m very interested to see the product. Seems like perfectly suitable in an educational setting e.g. in my university of applied sciences in the Netherlands. My company finally implemented NAV 2009 R2, so we’re looking forward to get in touch with your functionality-enhancement. To everybody: thanks a lot for your interest and kind words, I truly appreciate your support. About testing: I know that there is a lot of you out there who’d like to see this thing in action. At this stage our focus is stabilizing the product so that it can complete its transition to pilot stage as smoothly as possibly. It is very unlikely that any public beta test site would be open earlier than March 31. What I can try doing is creating a short video demoing the product, and upload it here, just to get a feel about the product, what it is, and what it can do. Thanks for your support, and stay tuned for more news. I wish you also luck with this for the world necessary vision, idea and implementation. Arndt, yes – I’ll be there, and I’ll look for you. Thanks for the comments and for your support! Great product. Was looking for your email to get more info. Can you please reach out to me. I have two clients that are interested. Can we test this? and how do we get in contact with you about this?Thanks. I am a small business owner in the fashion textile business , and our company has been using for good or bad nav for 5 years. For added horizontal matrix size functionality, seasons, brand, category and color fields, etc. We do wholesale b2b and online retail b2c in addition to operating a few retail stores. right now only our central wholesale erp is Nav and th websites are running separate systems which we are looking to integrate with webservices. however your blog on Microsoft surestep initially cought my attention,and then i discovered the STRATUS post, which i find super interesting. will say an agent in France be able to work on sales but only seeing his particular data(not all company data) and is there a plan to implement data transmission for online showroom with mages? one issue is for discounts on b2b there are too may levels and the developers say we cant export this kind of information from b2b sales orders made in the other system into nav. Another option is the web client sanacommerce buth this is not so flexible as our webshop b2c front end, so would mean separate systems for b2b than b2c which is silly and doble the work. When will Stratus be available, and is there any additional info, like weather it will have any webshop functionality? Is it possible to use your Application on Iphone? @Michael: yes, it is possible to use it. However, true iPhone client will be released soon after full public release. Can you send me a mail with contact information ? I would like to get a bit more information from you and talk to you directly. I’m trying to do approval in ASP.NET application and i had some problems with auth. Is this software was in open source or not? feust: no, it is not open source. What kind of approval did you try in ASP.NET application? Which ASP.NET application? Good luck we could use something like this. Looking forward to test driving it when it is done. @Ronald: Thanks for the comments and the interest. Please check http://www.StratusNAV.com/ to learn more. It seems to solve my client problems. Hallo, does anybody know where i could find out how the current cleint for Microsoft Nav 2009 R2 looks like?? a link would be helpfull!? Georgiadis, I have discontinued this product so you can’t find a download link to it. You can look for alternatives, though. Google for “anveo web desk”.